Many of us spent this summer crushing hard seltzer in the most basic way possible. Yes, I’m guilty of getting white-girl wasted and I’m not ashamed. That all changed when I discovered QC Shrubs (flavors of Grapefruit, Apple and Blackberry). Currently available in PA, NJ and DE, this sparkling malt beverage is crisp, clean and only 90 calories per can. 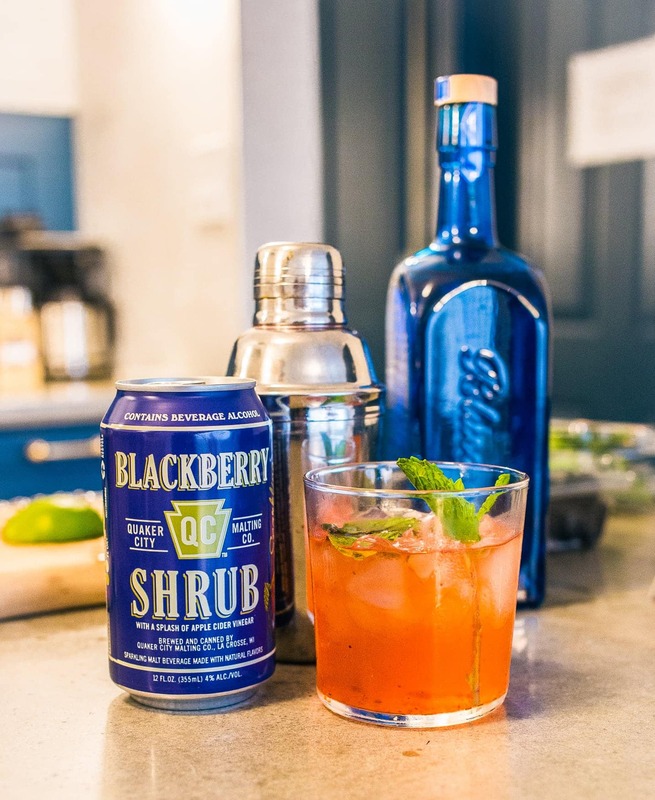 Besides the low calories vibes, Shrubs makes for one helluva mixer. That’s why we decided to make our spin on a gin & tonic using QC Shrubs Blackberry as our mixer base. Let call it a “QC Shrubs Gin Spritz”. Watch the video above for a rundown of this timely fall drink.